As a First Time Home Buyer it is like opening up a new IPad you just received from Santa. You are excited to open the box, fire it up, but once it is out of the box you don’t even know what you don’t know about your new IPad. The same generally apply’s to First Time Home Buyers, the decision is out of the box to start the home buying process, but there are so many things you don’t even know that you don’t know. First suggestion, find a Mortgage Professional & Realtor that Specializes in First Time Home Buyer Programs and Down Payment Assistance. Not everyone qualifies for First Time Home Buyer Programs & Down Payment Assistance, but you owe it to yourself to first check it out. If you encounter a Mortgage person that attempts to convince you that First Time Home Buyer Programs are bad, they fall into one of two categories, move on and find someone else. 1. Lazy, because First Time Home Buyer Loan Programs require more work for mortgage lenders, but if you’re eligible take advantage of it. 2. They haven’t taken the time to educate themselves about a great loan opportunity. Instead, this person chooses to denigrate First Time Home Buyer programs through scare tactics and misinformation. As a Mortgage Advisor, I am fortunate to be able to offer First Time Home Buyers & Down Payment Assistance Programs offered through MN Housing Finance Agency. If you are eligible, these are awesome, safe 30 Year Fixed Rate Programs Loan Programs and depending on Household Income level you may be eligible for one of three Down Payment Assistance Programs offered through MHFA. Below is some very general information from the www.mnhousing.gov website. What do our programs have to offer first-time homebuyers? 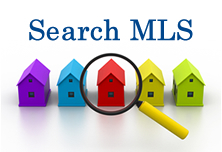 The ILoanHomeMortgage Website has great educational information under the Clients, Tools & Search Homes drop downs. Now that you have opened the box to home ownership, if need help determining if you qualify for a First Time Home Buyer & Down Payment Assistance Programs contact me directly. I promise not to talk you out of utilizing a Great Program if you are eligible.